Many Florida residents secretly keep alligators as pets – but that doesn’t mean it’s a good idea! The American alligator can grow to as long as 14 feet and can weigh as much as 1000 pounds. In his mouth are between 74 and 82 teeth at any given time – in a lifetime he’ll actually go through around 2,000. 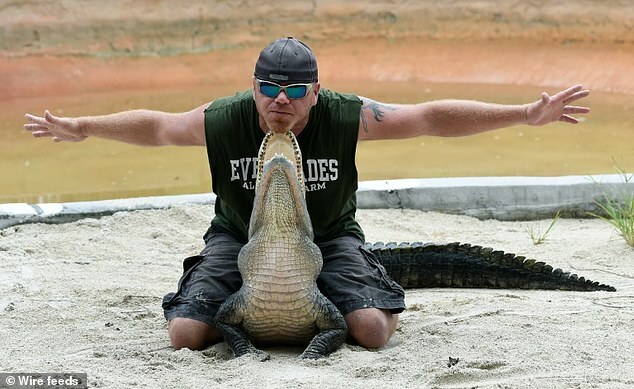 The Alligator needs an enormous amount of room to walk around or swim and if he bites you, you could end up with an infection, break a leg or even lose a limb. Left in his natural habitat – freshwater wetlands – he’ll be happy and you’ll be safe.